Returning to Lestat as the main character, the fourth in the Vampire Chronicles series finds Lestat impulsive and careless in the pursuit of what he wants: a serial killer in Southern Florida. Lestat is surrounded by mortals in this tale, an a new worthy counterpoint character to Lestat is introduced, Raglan James. James is a vampire hunter, and a formidable adversary for Lestat. James offers Lestat the opportunity to switch bodies temporarily with a young mortal. Against Louis' advice, Lestat accepts and discovers he hates everything about being human. He also finds that James has disappeared with Lestat's powerful vampire body. Louis refuses to help Lestat become a vampire again, and he turns to another mortal to help him trick James into switching souls, and giving up Lestat's body. 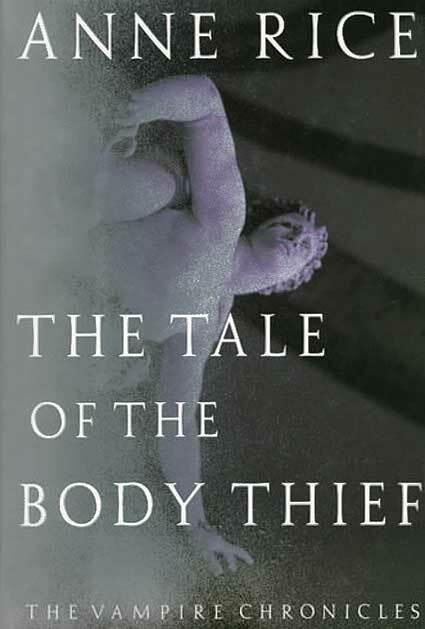 Centering on the themes of body and soul and soul migration, The Tale of the Body Thief is a novel of action.